Sponsored by some dynamic and reputed entrepreneurs and eminent industrialists of the country and also participated by the Government, UCB started its operation in mid 1983 and has since been able to establish one of the largest networks of 98 branches among the first generation banks in the private sector. With its firm commitment to the economic development of the country, the Bank has already made a distinct mark in the realm of Private Sector Banking through personalized service, innovative practices, dynamic approach and efficient Management. The Bank, aiming to play a leading role in the economic activities of the country, is firmly engaged in the development of trade, commerce and industry thorough a creative credit policy. United Commercial Bank Limiter’s CCS gives a great opportunity to its customers to buy house and office items on easy installments. This scheme gives an advantage of part payment to cope with high price tags of many necessary home and office appliances. A consumer is the ultimate user of a good. Thus “Consumer credit” is the credit, which directly comes into the use of consumer. To bring the credit facility to wide range of customers. To provide financial assistance to the limited income group people toward buying utility products. To help the professionals to raise their living standard. Under the “Consumer Credit Scheme” UCBL grants pecuniary help for the following goods and services. Private car and station wagon new and reconditioned. Air cooler, Air condition, Room-heater, Water Purifier. For most of the people on fixed income, this opportunity to supplement their monthly earning is a golden one. And UCBL ’s Special Deposit Scheme gives a customer just that. Under this scheme, customers can deposit money for a term of 5 years. The deposited money is fully refundable at the expiry of the term. At the same time, during the term period they can enjoy a monthly profit corresponding to their deposited amount. As for instance, under this scheme a deposit of Tk.55,000/- gives a monthly income of Tk.500/-. This scheme is specially designed for the people of the limited income. This scheme helps to accrue small monthly savings into a significant sum at the end of the term. So, after the expiry of the term period the depositor will have a sizeable amount to withdraw. United Commercial Bank Limited has got quick response in this project. A depositor can deposit 500-10000 Taka monthly for 3-8 years. “Safe, Instant and Universal Money”. Through its Credit Card, United Commercial Bank Limited has not only initiated a new scheme but also brought a new life style concept in Bangladesh. Now the dangers and the worries of carrying cash money are memories of the past. Credit Card comes in both local and international forms, giving the clients the power of buying all over the World. Now customers enjoy the conveniences and advantages of Credit Card as they step into the new millennium. This is an uncertain World and the threatening silhouettes of future catastrophes are always looming around. This scheme of UCBL gives its customer’s family the protection against the insecurities of the world. This scheme is the first of its kind in Bangladesh. It combines the benefits of regular savings and insurance scheme, so, customers get the usual rate of interest on the deposited amount while they enjoy the protection of a comprehensive insurance coverage. Under this scheme, the beneficiaries will get equal the deposit in case of natural death of the account holder whereas in the event of accidental death of the account holder the beneficiaries will receive twice of the deposit. As for example, if a customer picks up Easy Class (Tk.50,000/-) he/she will get Tk.50,000/- for natural death and Tk.1,00,000/- for accidental death apart from his/her deposited amount and interest. Joining with the world’s largest money transfer service “Western Union”, UCBL has introduced Bangladesh to the faster track of money remittance. Now money transfer between Bangladesh and any other part of the globe is safer and faster than ever before. This simple transfer system, being on line eliminates the complex process and makes it easy and convenient for both the sender and the receiver. Through UCBL – Western Union Money Transfer Service, customers’ money will reach its destination within a few minutes. United Commercial Bank Limited has introduced ATM service to its Customers. The card will enable to save its valuable customers from any kind of predicament in emergency situation and time consuming formalities. UCBL ATM Card will give its distinguished clients the opportunity to withdraw cash at any time, even in holidays, 24 hours a day, and 7 days a week. Present age is the age of competition. A good number of new private commercial banks came to banking sector in Bangladesh during the last decade. Foreign banks (Standard chartered, American Express, HSBC, Citibank N.A, etc) also conduct banking business in Bangladesh very successfully. These new generation banks introduced many attractable products for customers. United Commercial Bank Limited is also introduced many products to attract customers. Multiple location facility Dhaka, Chittagong, and Sylhet. UCBL is one of the first few Bangladesh Banks to obtain membership of SWIFT. SWIFT is a members’ owned cooperative which a first and accurate communication network for financial transaction such as Letter of credit, Fund Transfer etc. By being a member of SWIFT, the bank has opened up possibilities for uninterrupted connectivity with over 5700 user institutions in 150 countries all over the world. In Bangladesh, UCBL has first introduced the power card. The use of power card is very easy and the cost of transactions is very low. So anybody can use it like cash to do their daily transaction. Due to the predecessor company’s involvement in financing sector of the country, the bank inherited its top corporate customers. Moreover the bank is involved in import trade financing. Bulk importers of consumer durable foods, gains, industrial raw materials are its customers. The bank has financed in textile and apparels sectors. The bank has a trade of choosing customers from diversified groups. The bank has first class customers in the construction sectors involved in high-rise building, heavy construction and roads and high way construction. 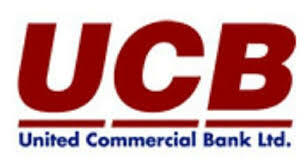 UCBL started its journey since 1987 as the 33rd branch of UCBL. The bank is now in the top position among the competitor private banks in the arena. As a branch of commercial bank it provides all general banking services including a wide range of savings and investment scheme products, foreign exchange and ancillary services with the support of modern technology and professional management. The branch is always achieving better and better in respect of increasing number of deposits, loan sanctioned, number of accounts etc. Almost everyday huge number of customers is gathering in this branch for doing banking satisfactorily. It is an authorized dealer of foreign exchange. The branch is headed by an SVP (Senior Vice President).The branch is located at the centre of as it is renowned place for garment industry and doing foreign exchange activities. So as a private bank, UCBL is running steadily and within a very near future, it would take a vital responsibility for the national economy. A well-educated, skilled and enterprising workforce with wide experience in the banking is a precondition for the continued growth and progress of any bank. UCBL’ s aim is to recruit and retain a competent workforce. In the expectation of continued growth, the bank in 1987 established United Commercial Bank recruits experienced bankers as well as fresh graduates and trains them through the Training institute. As on 31st December 2007, its human resources strength was 2408. These numbers include 238 executives, 1446 officers and 562 staffs. The business principles are supported by loyal and committed employees who make lasting customer relationships and international teamwork easier to achieve. United Commercial Bank Limited also operates according to certain key business values. The highest personal standards of integrity at all levels. Commitment to truth and fair dealing. Hands-on management at all levels. Commitment to quality and competence. The main vision of the United Commercial Bank Limited is to develop the economy of Bangladesh by profitable investment of public money and build up their confidence to the private institution. To ensuring highest standard of clientele services through best operation of latest information, technology, making due contribution to the national economy and establishing ourselves firmly at home and abroad as a front ranking bank of the country is our cherished vision. The missions of the United Commercial Bank Limited are as follows: The aim of UCBL is to become one of the leading Banks in Bangladesh by its prudence, fair and quality of operation. Its effort for expansion of its activities in home and abroad by adding new dimension to its banking services is contributed unabated. It is also putting highest priority in ensuring transparency, accountability, and improved clientele services as well as to its commitment to serve the society through which it wants to get closer and closer to the people. Its goal is to act as a caring companion in uplifting the national economic standard through continuous gradation and diversification of its clientele services in line with national and international requirement. It intends to meet the needs of its clients and enhance its profitability by creating corporate culture. It believes in strong capitalization. Its aim is to ensure its competitive advantages by upgrading banking technology and information system. It maintains high standard of corporate and business Seth’s. It provides high quality financial services to strengthen the well being and success of individual, industries and business communities. Playing an important role in the national progress by including improved banker-customer relationship. Pushing the policy of nurturing balanced growth of the bank in all sectors. Consolidating our position in the competitive market by introducing innovating banking products. Increasing finances to small and medium enterprise sector including agriculture and agro based industries, thus making due contribution to the national economy. Upholding the image of the bank at home and abroad by pushing dynamic and time befitting banking activities. Ensuring maintenance of capital adequacy and highest profit through successful implementation of the Management Core Risk Program. Alongside providing the best services to the clienteles, patronizing and taking part in social development activities as well as making due contribution to growth of the national economy. As the financial services industry is a very competitive industry, the main strategy of UCBL is the organic growth – to build branches and strengthen their distribution network. They will continue to invest and expand in Bangladesh as fast as local regulations allow. People – Attract, retain and reward top performers. Profitable Growth – Growing sales and increase the revenues. Credit Quality – Maintaining credit quality and understand the role in managing losses. Customer Centered – Always providing exceptional customer service. Ownership – The performance and results should be owned. Efficiency – Lowering the costs and wise use of resources. Organizational setup of the United Commercial Bank Limited is consisting of three organizational domains. Firstly the central top management, which contains Board of Directors, Managing Director, Additional Managing Director and Deputy Managing director. The major responsibilities of this group are to take central decision and transmit it to the second step. Secondly the executives level management, which contains Executive Vice Presidents, Senior Vice Presidents, Vice Presidents and Assistant Vice Presidents. The major responsibilities of this part are to supervise and control divisions/ departments. Thirdly the branches operate management, which contains branch manager and other mid/ lower level management. The major responsibilities of this part are to the 100 branches of this bank and report to the Head Office from time to time. In 2008 United Commercial Bank Limited made commendable progress in all business, like deposit, credit, fund management, investment, foreign remittance, credit card & foreign exchange related business. Bank has expended business activities as holding previously & parallels by diversification its investment to a new product, as a major financier remarkable portion of total exports of the country. The strategic planning approach in UCBL is top-down. Top management formulates strategy at the corporate level, and then it is transmitted through the division to the individual objectives. Board of directors or executive committee usually takes the decision. In this process lower level managers are detached in making process, even brainstorming of lower level managers is absent in decision-making and planning process. Entry-level recruitment process of the United Commercial Bank Limited is conducted in three ways. One way is recruitment of probationary officers. Each probationary officer has one-year probation period. After completion of probation period the officer joins as officer grade III (b). The career path of probationary officer is headed toward different management positions. Second way of recruitment is to recruit non-probationary officer who joins as an assistant officer. The career path of an assistant officer is lengthier than probationary officer. The third way of recruitment is recruitment of staff and sub-staff such as typists, messengers, drivers, guards, attendants, cleaners and other lower level positions. Promotion policy of UCBL is basically based on seniority basis. Sometimes, employees are promoted to the higher position for their outstanding perfoffi1ance. However, it is found that the average length of a position held by an employee is around five years. The bank has strict control over its all-organizational activities. The Bangladesh Bank directives indicate some control measures. Audits and inspection are conducted by different parties to check whether the bank implement these control systems properly or not. The central bank conducts credit inspection by a team. The United Commercial Bank Limited has audit and inspection department to take controlling measures in internal operations. Audit and inspection team send to the branches now and then and is responsible for preparing report that will be submitted to the Chief Administration to take necessary actions. Narayanganj Branch is one of the most productive branches of UCBL. In last four years the branch achieved a remarkable result. In this couple of years the output from this branch in terms of productivity, profit & efficiency has improved tremendously. That is why; the branch is concentrating on the continuous improvement so that it can serve better service to the clients. Moreover, the branch has got an efficient team of manpower. And the given table shows the scenario of deposit, advance and profit of last four years and which shows that as a branch it increases its efficiency in mobilization fund and generating sufficient profit by doing banking activities. Performance evaluation is an important pre-requisite for sustained growth and development of any situation. It is customary in commercial banks to evaluate the predetermined goals and objectives, with the changes goals and objectives, the criteria of revaluation have undergone changes overtime. Ratio analysis is a powerful tool of financial analysis. A ratio is defined as the indicated quotient of two mathematical impressions and as the relationship between two or more things. In financial analysis, a ratio is used as bench mark for evaluating the financial position and performance of a firm. We are describing some ratios for the measurement of the performance of the bank. The rate of return on equity is a good condition last five years. ROE indicates the rate of return on equity capital. Generally bank stockholders prefer ROE to be high. Here, ROE is increased last four years, but last year’s ROE indicates lower than previous year. It is possible, however, that an increase in ROE indicates increased bank’s risk. From the table we can see that ROE of UCBL increasing except 2003. ROE of UCBL were 30.79%, 70.54%, 82.94%, 40.55%, and 24.03% in the year respectively. ROE has been increased as Net Income of the Bank has been increased over the years. The rate of return on assets (ROA) measures the ability of management to utilize the real and financial resources of the bank to generate returns. ROA is most commonly used to evaluate bank management. From the table we can see that ROA of UCBL has been increased and decreased over the year from 2005 to 2009. Both ROA and TAX of UCBL over the last five years. Equity multiplier measures the Taka value of assets funded with each Taka of equity capital. The higher the equity multiplier ratio, the more leverage or debt the bank is using to funds its assets. Thus this ratio is a measure of degree of leverage the bank is using. Net profit margin ratio establishes a relationship between net income and operating income that indicates management efficiency in providing services, administrating and selling the product. It reminds us that bank can increase their earnings and their returns to their stockholders by successfully controlling expenses and maximizing revenues. The asset utilization ratio represents the ability of management to employ asset effectively to generate revenue. The more income generated per Taka of assets, the more profitable is the bank. The loan ratio indicates the extent to which assets are devoted to loan as opposed to other assets. Ratio of the bank has been increasing and decreasing. As bank generate its major portion of income from interest income. So, bank generates its major portion of income from interest income. So, bank has to disburse more Loans and Advances for maximizing their income. In the year 2009, the bank engaged 61.39% of its TAX in loans and advances. This ratio indicates how much expenses required regarding Wages & Salaries to TAX of a bank. Lower the ratio indicates that the bank has been performing well. We can see that the UCBL has been performing badly, as the ratio of the bank has been increasing from the year 2005 to 2009. Occupancy Ratio indicates the occupancy expenses of the Bank to its total assets. The lower ratio indicates better performance of the bank. We can see that the UCBL has been lowering its occupancy ratio. So, the bank’s performance is better than the previous years comparing to the year 2009. Cash ratio is measured by dividing cash by total assets of the bank. This ratio measures Taka of deposit of per Taka capital. Deposit to capital ratio of UCBL has been increasing over the years. It was 13.54times in the year 2005 and 16.97 times in the year 2009. That means the deposit of the bank has been increasing much more than its equity capital. This ratio indicates how much Taka is deposited by each employee in the bank. Higher the ratio indicates the better the position of the banks. The table reveals that each employee of UCBL mobilized deposit of TK. 10845130 in the year 2005 and it has been increased to TK. 12705775 in the year 2009. This indicates the better performance of the bank. The ratio indicates that how much Taka is invested to total deposit. The profitability of commercial branch banking can be measured by using the above mentioned credit risk ratio, Liquidity ratio, profitability ratio, operational ratio and productivity ratio. And by analyzing the two month scenario of year 2010, it is found that United Commercial Bank-gradually increase its profitability and increases its efficiency in running branch banking operation.